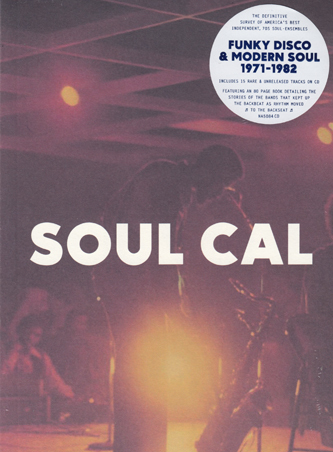 "A decade in the making, Soul Cal is the definitive survey of America's best independent 70's soul-ensembles. Profiled within this album and book are the bands that transitioned from funk to disco; the bands that kept up the backbeat as rhythm moved to the back- seat. Collected here for the first time are the musical dreams of dozens, dreams that were deferred but were never discarded. From the positively-funky sound of Luther Davis' "You Can Be a Star" to the airtight hi hats and space-bass that guides Pure Essence's "Wake Up," Soul Cal offers the enthused a chance to listen, read and reflect on this great burst of black American creativity."